Are we becoming a truly un-inclusive society? Including disabled children in everyday activities is essential for an inclusive school. 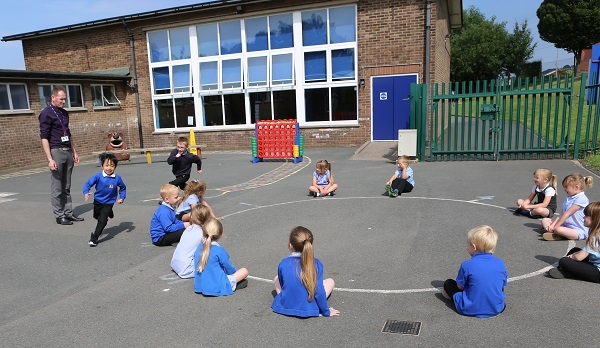 Gareth D Morewood examines the Play Inclusion Project to highlight what schools need to do. Over the last few months I have become acutely aware of the pressures on families, schools and young people as community services diminish. This BBC News piece, Disabled children 'shut out of playgrounds', was really sad. The article described how disabled children are being prevented from making friends and enjoying playtime due to the fact playgrounds and playgroups are not accessible for disabled young people. A report by the charity Sense says most parents of disabled children also find negative attitudes from other parents as a significant barrier to accessing mainstream play. Disabled children and their parents are subsequently being excluded from communities in England and Wales as a result. Despite the government saying that disabled children must not be discriminated against and even a having a legal framework which should ensure this is not the case; this is clearly happening to some of our families on a regular basis. This is wholly unacceptable in 21st Century Britain. We know that play is vitally important for children with multiple needs and their families, bringing a wide range of developmental and emotional benefits. However, our inquiry found that all too often the parents of children with multiple-needs point to barriers they face in accessing and enjoying play. It means that disabled children don’t have the same chance to form friendships, and parents are prevented from taking a break from caring. Both disabled children and their parents are excluded from their own communities. I know that there is strong support across the political spectrum for addressing the findings of this report, and I look forward to working with colleagues from all parties to achieve real change for parents and families across the nation. One of the first external events I addressed (almost ten years ago) was the launch event for a project entitled the Playwork Inclusion Project (PIP) which was established to increase the numbers of disabled children in mainstream play and childcare provision through training, publications, a regional development programme and the National Inclusive Play and Childcare Network. It also aimed to embed inclusive thinking in playwork qualifications and policy, so that practitioners come to understand that good playwork and inclusion are inseparable. With the Scope report this week demonstrating a significant backwards step, something has drastically gone wrong. How have we, as a society, become less inclusive in less than a decade? Inclusive play provision is open and accessible to all and takes positive action in removing disabling barriers so that disabled and non-disabled children and young people can participate. We can, and definitely need, to do more. The materials, resources and support from the PIP project are still very useful today. Plan Inclusive Play (or PiPA) is a very useful checklist for anyone assessing a planned or existing play provision. The questions can be worked through on the online form which is then available to print out. The outcomes of the checklist will be one of the following. The play area is not inclusive. The play area is inclusive as a community provision (i.e. may be without changing places and refreshment/picnic areas). The play area is inclusive as a destination park (i.e. it has great transport links, parking, changing places with onsite café etc.). If the play area is not inclusive then it is clear to see from the checklist which points need to be fulfilled to get it to an inclusive standard. This will help to plan budgets for future development and understand the areas for development. It is evident from the Sense report that these are significant issues within our societies regarding inclusive opportunities for our disabled children and their families. As schools, communities and families we need to ensure we challenge discrimination and lobby for increased opportunities. This is particularly important now it appears that the last few years have seen a significant step backwards with regard to facilities and, perhaps most importantly, attitudes. Sense will use the inquiry findings to campaign for changes to the way play services are designed and delivered and plans to produce a series of toolkits for parents, providers and commissioners of play – I think this is something we all need to support and promote.